Blue Canyon Technologies (BCT) has successfully completed the bus commissioning activities of three BCT-built spacecraft that were recently dispensed from the International Space Station (ISS). NASA’s HaloSat spacecraft, with the gold thermal shield, deploys from the International Space Station on July 13, 2018. Photo is courtesy of NASA/Nanoracks. BCT is now supporting numerous successful missions with a cumulative total of four spacecraft, 11 attitude control systems, 25 star trackers and 69 reaction wheels on orbit. In conjunction with this recent on orbit success, BCT has expanded their satellite manufacturing facilities in Boulder, Colorado to more than 42,000 square feet. The new facility was designed to accommodate the increasing demand for their high-performance, high-reliability spacecraft, subsystems, and components. BCT’s new state-of-the-art facility supports high-volume spacecraft production, including constellations, by leveraging new cleanrooms, thermal vacuums, vibration, integration, and test capabilities. 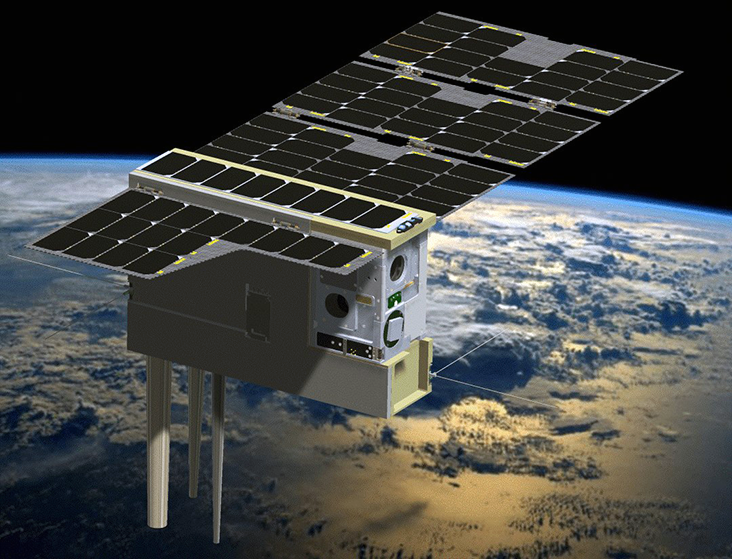 Artistic rendition of Colorado State University's TEMPEST-D smallsat. BCT has orders for nearly 60 spacecraft, ranging from 3U CubeSats to 200 kg. ESPA-class, for missions in LEO to GEO, for commercial, academic, and Government customers. BCT has also recently obtained building permits for an additional 40,000 square feet, which will make their facility one of the largest for smallsat production in the world. The three new satellites being controlled from the BCT MOC join the RAVAN satellite, which BCT has been operating for nearly two years. BCT has plans to operate more than 10 additional spacecraft by the end of 2019. The MOC software was designed to work seamlessly with all BCT spacecraft, which share a common command and telemetry architecture. 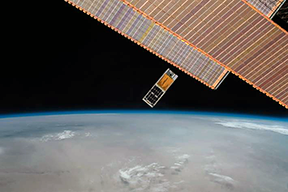 Ohio State University's CubeRRT smallsat. In addition to the UHF antenna at the BCT facility, the MOC can also interface with multiple third-party ground station antennas and commercial ground station networks around the world. 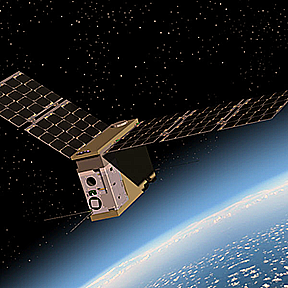 The high level of autonomy of the BCT spacecraft, and the powerful ground software require minimal operator involvement, resulting in near lights-out operations. The MOC software can also be easily installed at a spacecraft owner’s facility and operated by them, as is currently planned for multiple missions.